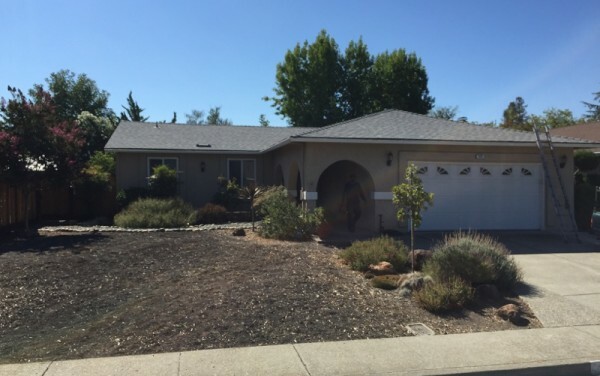 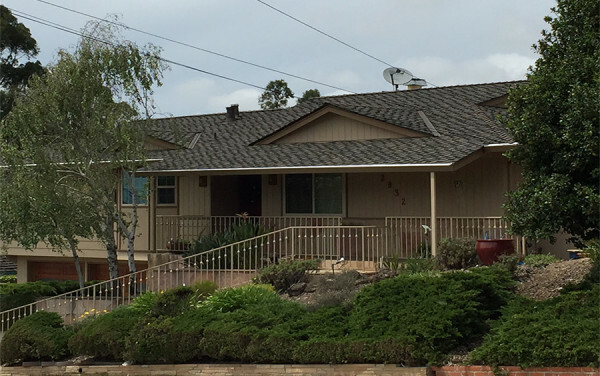 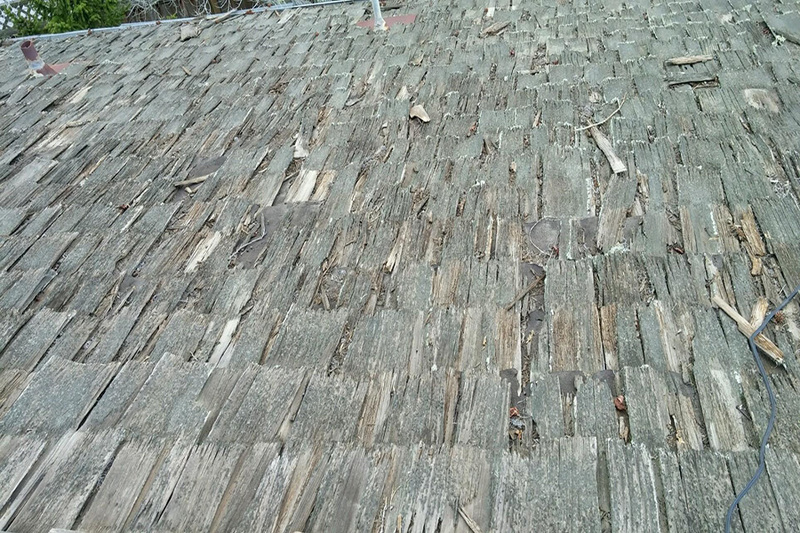 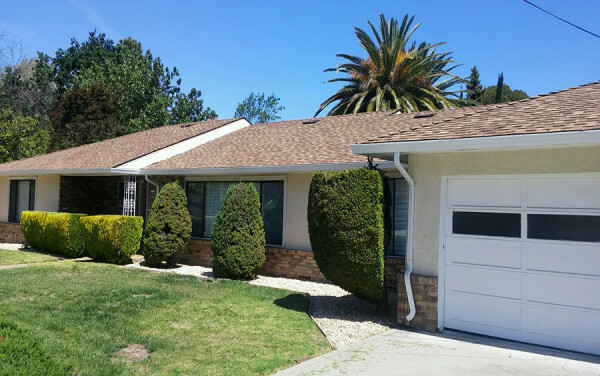 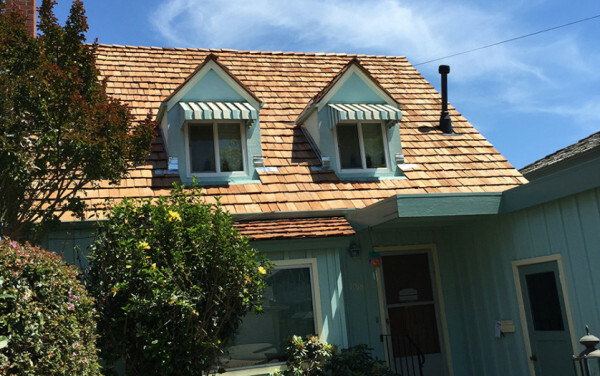 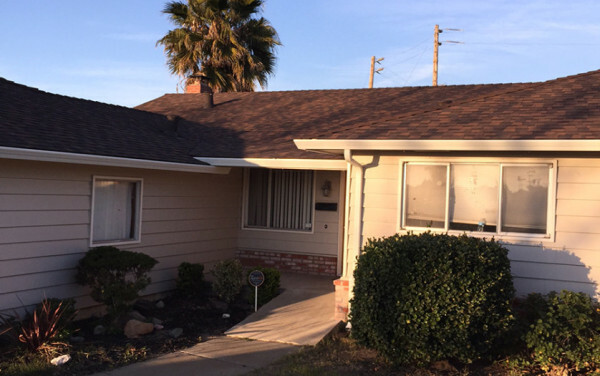 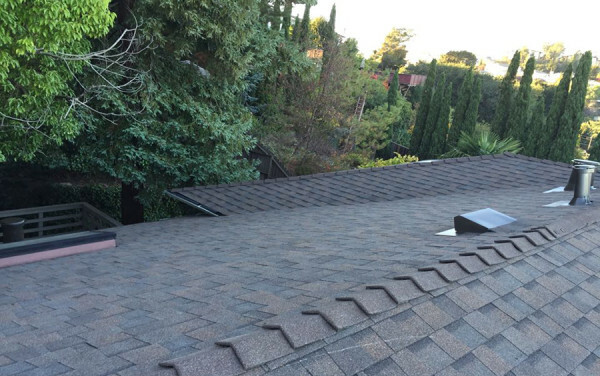 We tore off 54 squares of badly worn wood shakes, re-roofed with dimensional type fiberglass composition shingles, and installed new white gutters. 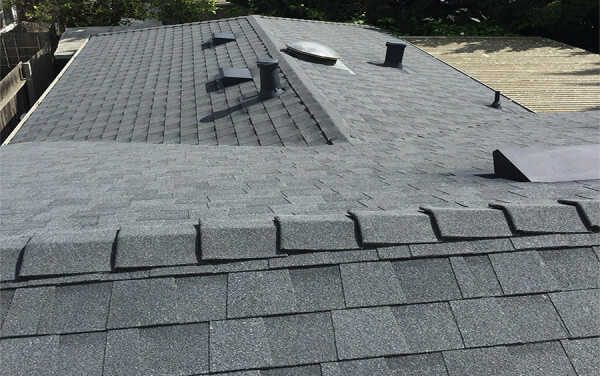 This beautiful charcoal color you see is CertainTeed’s Moire Black shade of shingles–the updated Landmark Pro version of the Landmark series. 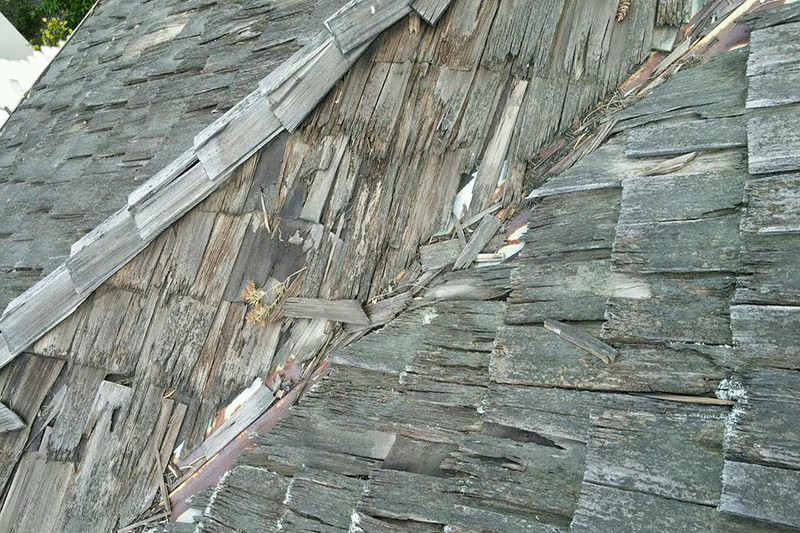 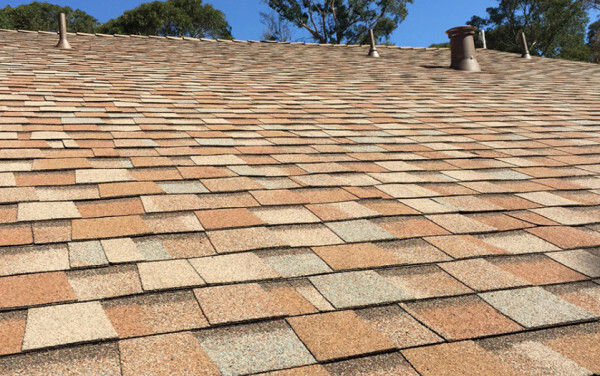 When converting your roof from wood shakes or shingles to composition shingles, it is a requirement to use solid, OSB sheathing rather than spaced sheathing. 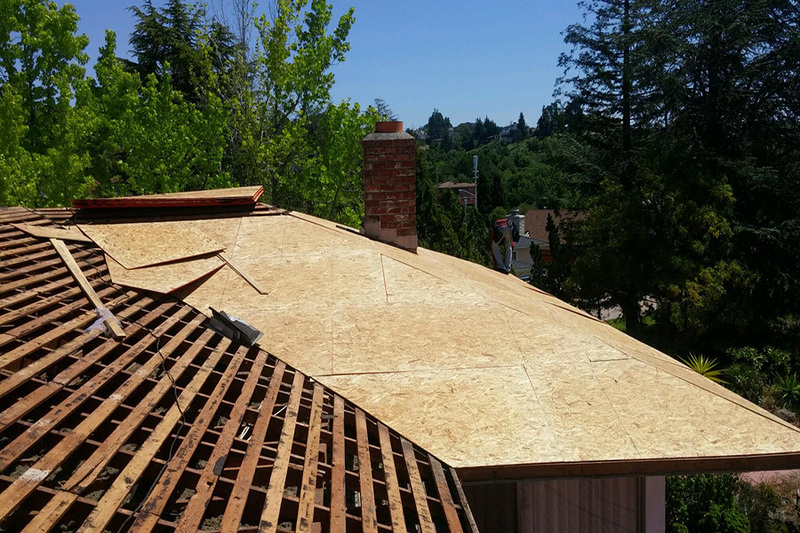 The spaced sheathing allows the shakes to breathe, but the solid OSB sheathing is necessary so the composition shingles won’t fall in between the spaces. 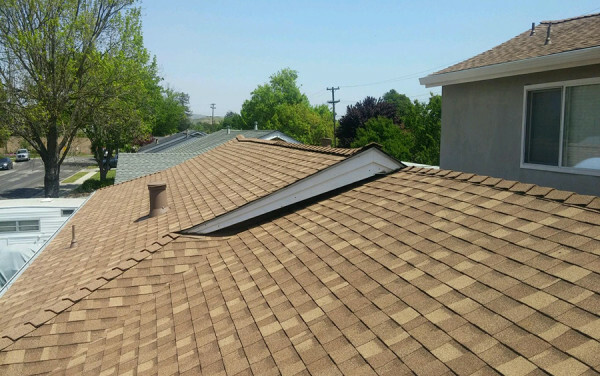 This transformation also requires additional attic intake and exhaust ventilation to create a convection so the air is constantly moving through the attic, which will keep it cooler in the summer and prevent the possibility of condensation forming in the winter. 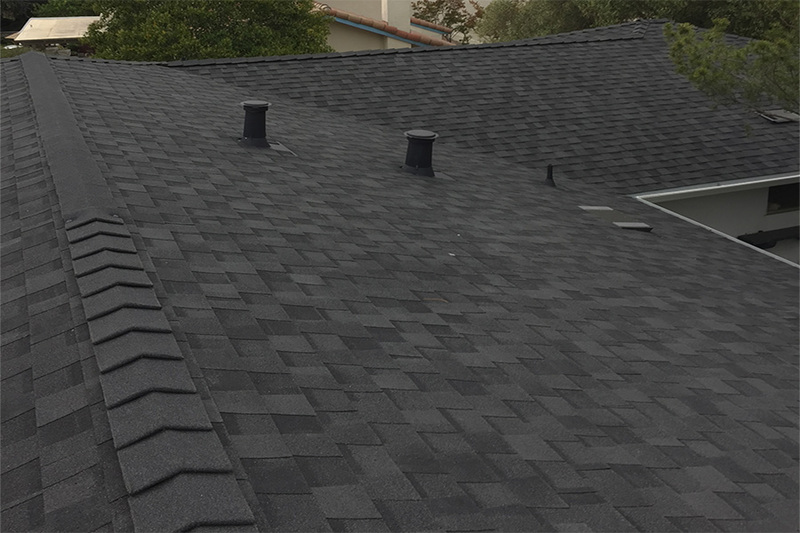 Consequently, new vent flashings, and attic intake and exhaust vents were installed and painted perfectly to match the roof. 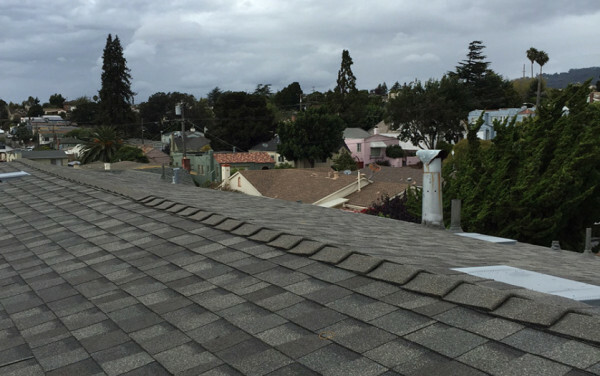 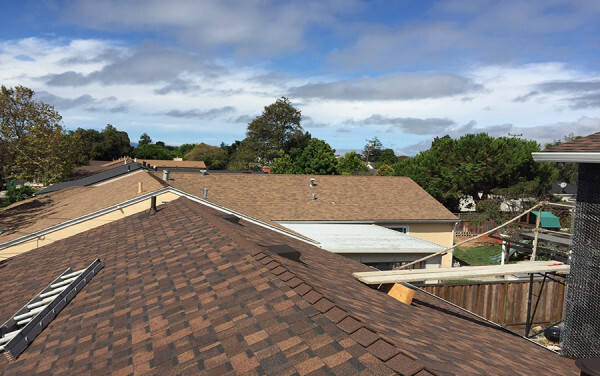 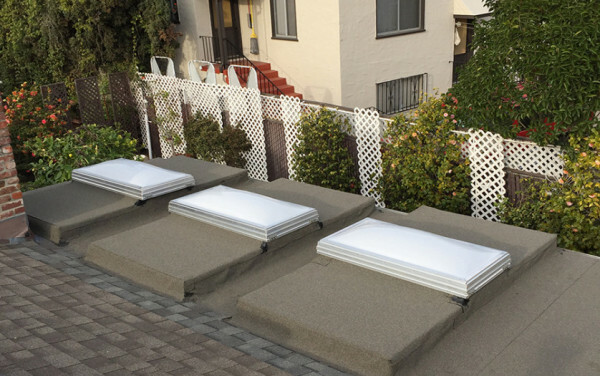 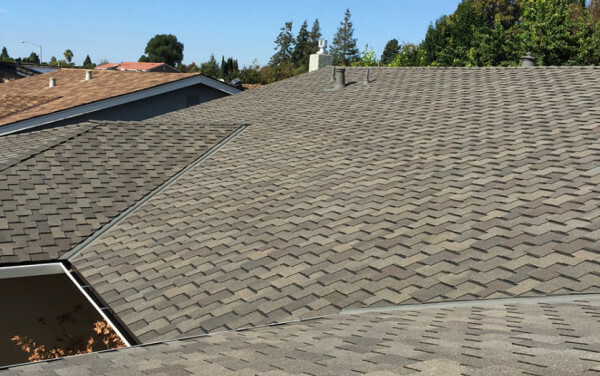 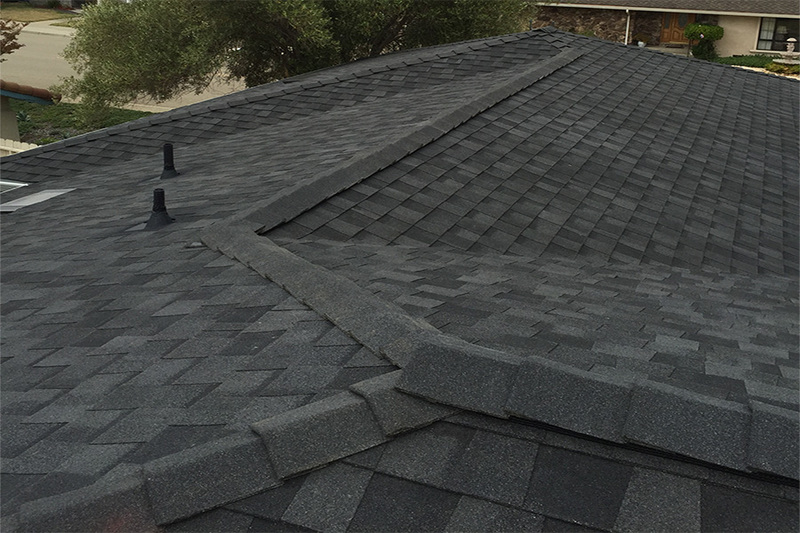 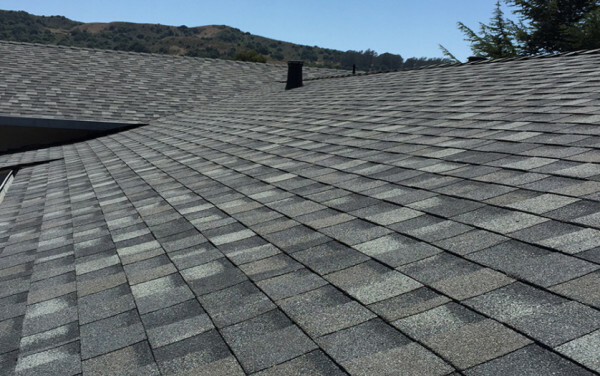 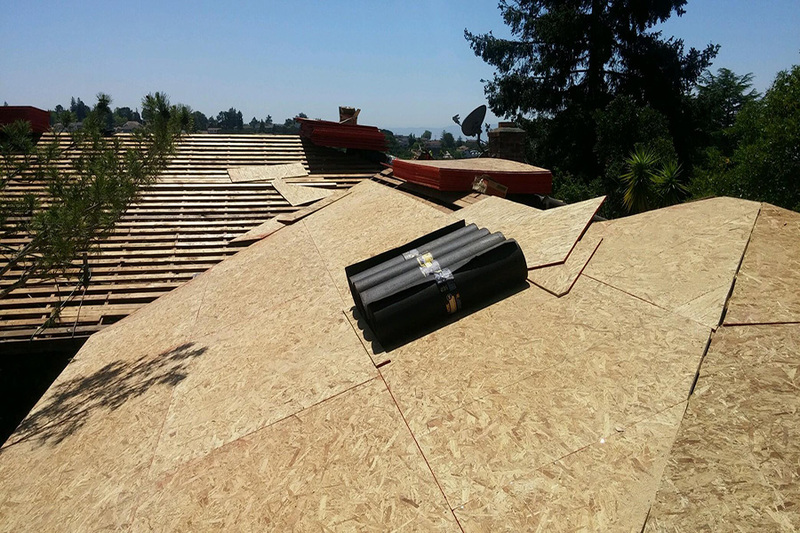 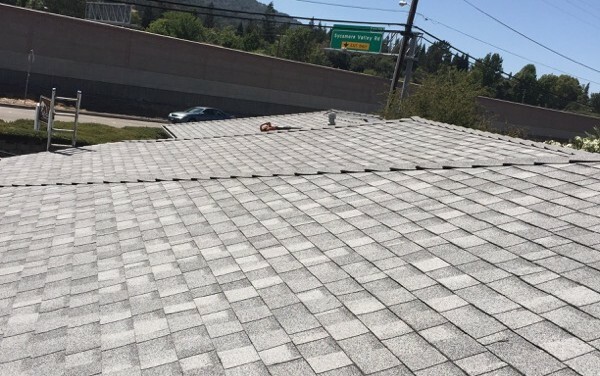 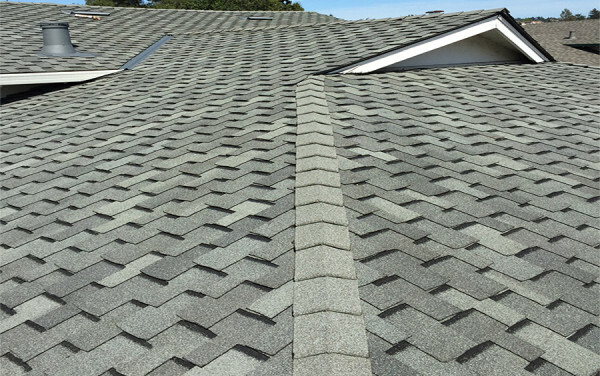 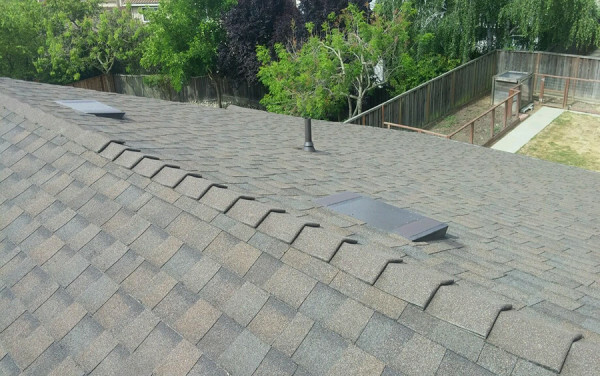 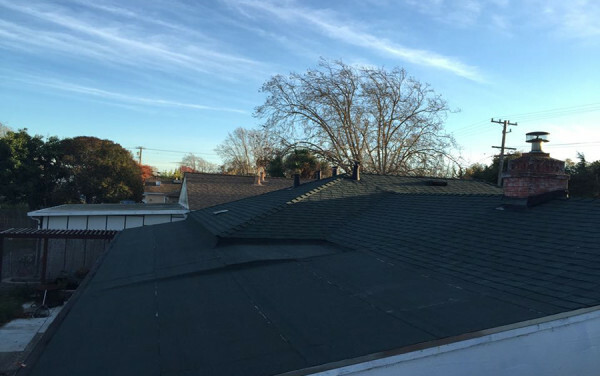 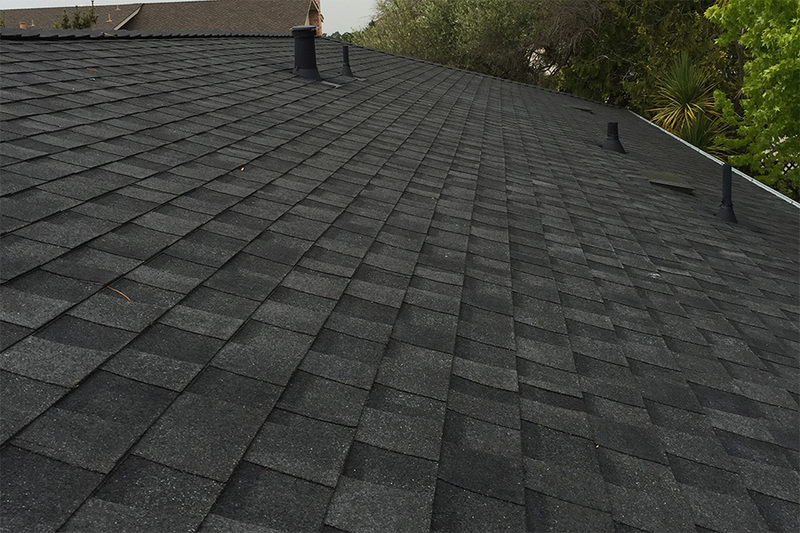 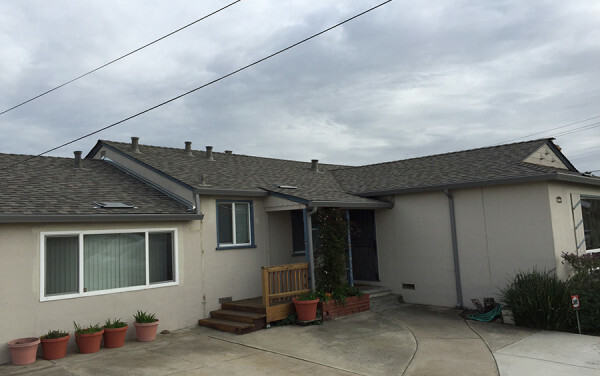 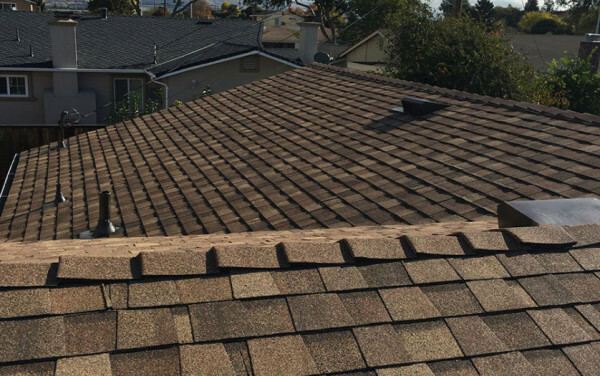 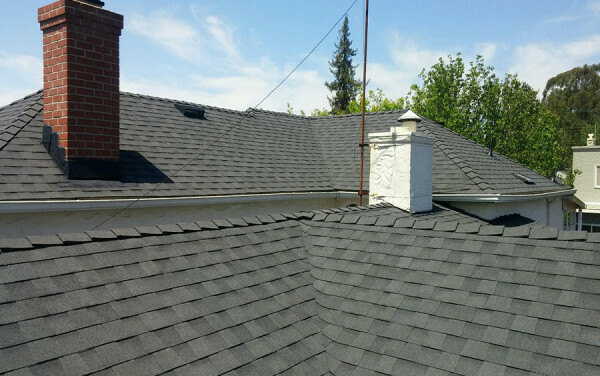 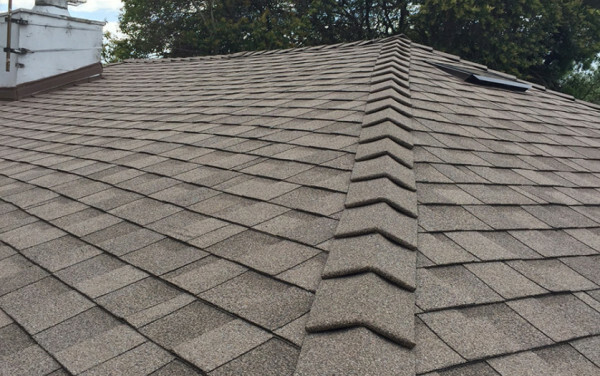 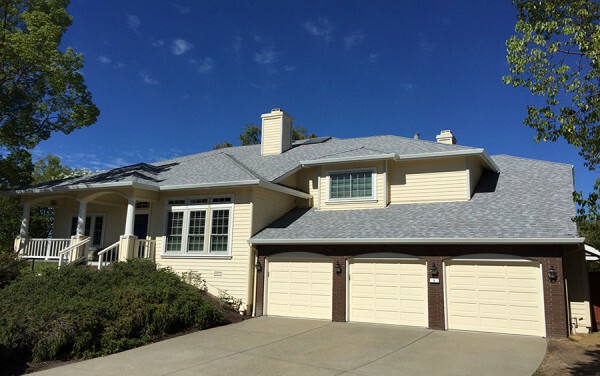 Rapid Ridge cap shingles were also installed to enhance the ridgelines and give the roof a longer service life.